This is a price guide for the Beanie Babies that start with letter ‘A’. One of the key Beanies beginning with the letter A is the 1st Generation Ally the Alligators, which can be worth decent money. Also look for the rare Aotearoa, with the Flag Nose, which can bring in over $30. If there is a Beanie beginning with the letter A that you have and don’t see listed, leave a comment below and I will add them to the list. 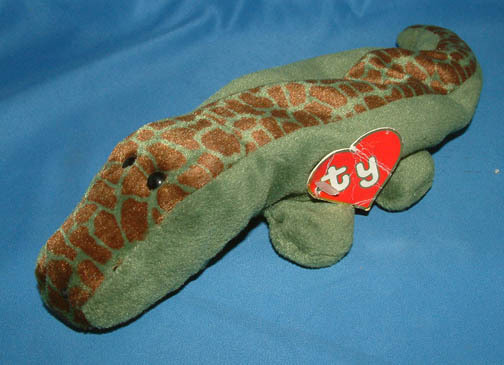 Check the links for more information and pictures on that specific Beanie Babie.